(BBC News) — France’s health watchdog says the risk of cancer from sunlamps and sunbeds is proven and authorities should act to stop people being exposed to artificial ultraviolet rays. Brazil and Australia have already banned sunbeds commercially, and France is one of a number of countries that have already limited their use. But now the Anses watchdog says France should go further and impose a ban. 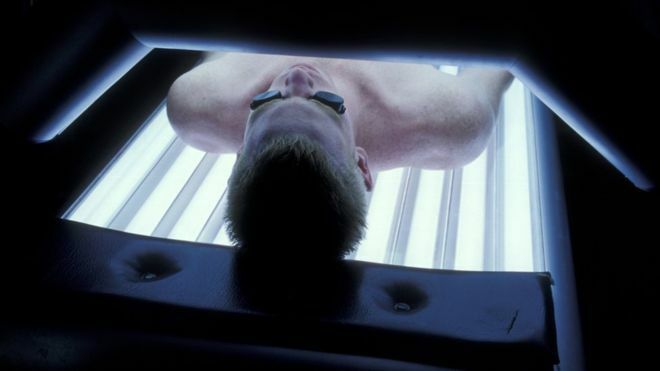 Sunbeds are linked to 43% of melanoma cases among France’s young, it says. Although less common than other skin cancers, malignant melanoma is the major cause of death and more common among people with a pale complexion.